CATable design ideas is a creative combination of a home office desk and a cat house. 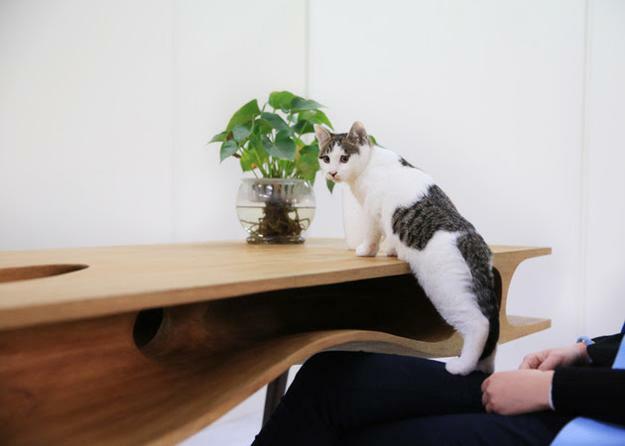 Lushome presents this unique furniture designed by Aho Ruan of LYCS Architecture that created this amazing table as a place where a feline friend can participate in a work environment. The modern table allows your cat to enjoy your company without infringing on the work surface. Many various holes and tunnels create the perfect place for a cat to explore surfaces or nap while you are working. 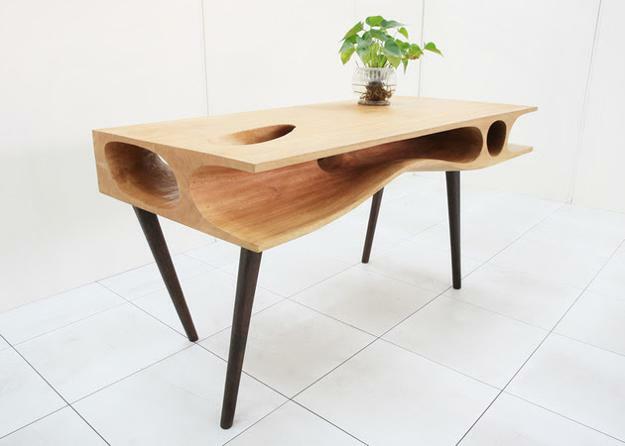 The dual-purpose table is a contemporary office desk made of solid wood. The office desk with various voids is hand-carved to give cats and their owners this unique furniture piece which is multifunctional and very attractive. Cats owners will enjoy having their cats close at hand. 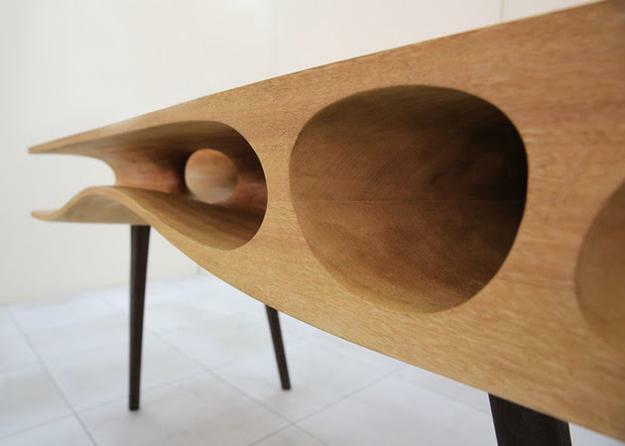 This desk is a stunning and unique furniture design idea enriched with various curvilinear formations and smooth surfaces. Different tunnels and openings within the desk add fun to this modern table design and bring joy into modern homes.